Gold Plan: 5 GB WEB SPACE - 100 GB BANDWIDTH - $9.95 Order Now! 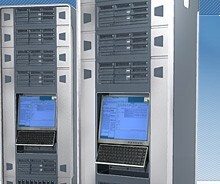 At ABCWeb Host, it is our goal to present advanced and easy-to-use web hosting solutions. Our state-of-the-art Web server, fiber network and highly skilled hosting experts will ensure that you receive a powerful and reliable hosting experience. If you desire a low cost web presence that offers superior performance and reliability, ABCWeb Host has the hosting solution for you. The best technology, the greatest features. Learn more about our Web hosting plans. Copyright © 2008 ABCWeb Host. All Right Reserved.